Quick Guide to Choose the Right Business Phone Service: Cebod telecom "
What is the Right Phone Service for You? Communication is everything in the modern world of business. The right phone service can create an aura of professionalism that helps to win over that client. It helps to react to sudden changes regarding your projects. It helps you to act when something changes urgently. In short, you need the best phone service for business use. We’re going to show you what you should and shouldn’t use. Let’s begin with what you should never use. If you’re still using an old-fashioned telephone service, this is the wrong way to go on all fronts. It’s slow, clunky, and doesn’t come with any modern features. It’s the option for the business that’s still dealing in the 20th century. If you already have this phone service, it’s time to act immediately. Cell phones are a far superior option because they allow you to be on the go, while staying in contact with the people who matter. The problem is they aren’t always stable and they rely on having adequate coverage. Even going through a tunnel can hamper their ability to maintain a clear connection. There’s nothing more embarrassing than going dead on a client because your connection wouldn’t hold up. Although there are business plans available, they rarely provide the value for money organizations are looking for with a phone service. You may have heard this type of phone service mentioned by name but not fully understood what it was. This is a 21st century telephone system that uses existing Internet connections in order to make and receive calls. It takes the old-fashioned cellular network out of the equation entirely. The way it works is with a tool known as an Analog Telephone Adaptor that connects the person’s phone to a router or modem. This means that you can use numerous features such as call routing, call forwarding, recording, email voicemail, unlimited extensions, and more without having to pay extra to utilize the services. The best part is you don’t have to have someone else using the system for it to work. You can call someone on an old-fashioned phone line using the VoIP system without any problems. 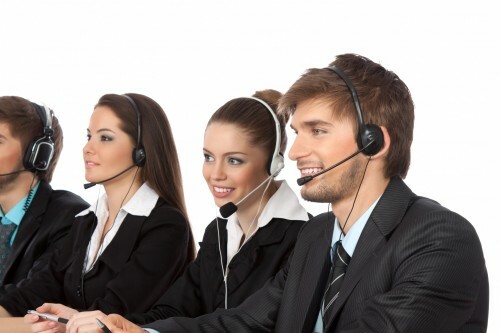 But what are the main reasons VoIP makes commercial sense? It’s cheaper. You’re using your existing Internet network. Basic services can be found for as little as $50 per month, and often even less. With cloud VOIP, maintenance and management is dealt with by the service provider. Hiring freelancers is easy because one phone system can handle multiple office locations and employees. It can be used on the go, use cell phone or soft phone to make /receive calls when traveling for business. VoIP is perhaps the most flexible system when it comes to getting the best phone service for business purposes. Most providers offer the chance to scale, so as your usage increases you can upgrade without paying a huge amount in costs. We’re not going to say that any system is the best. The average one-man gardener probably doesn’t need a huge telecommunications system. A cell phone will work perfectly well when they’re on the job.On the other hand, a small business dealing with customers and clients online should see VoIP as an essential tool in their business arsenal. It’s your job to assess the needs of your business and identify areas where you can improve the way you communicate. There are plenty of phone service providers available today. See what they have to offer by doing your research and getting in touch with them. They will change the way you work!